Buy Quill Lettering Brushes for Sale here for Hand Lettering Signs. 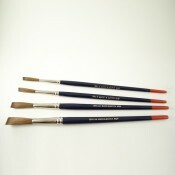 Sign Painters have used Quill Lettering Brushes for centuries. 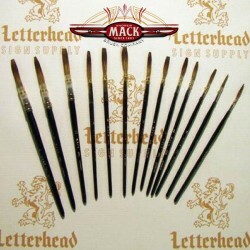 The traditional Quill Lettering Brushes will always have a place in a sign painter’s kit. 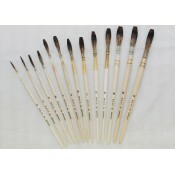 Brown Quill Lettering Brushes are best suited for working on smooth surfaces such as glass, and metal. Grey Quill Lettering Brushes have more snap than browns, and is used for more general commercial sign painting work such as signs, truck lettering, and boats. Grey hairs are more durable than browns and are suitable for hand lettering on most surfaces. 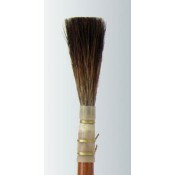 Mixed hair Quill Lettering Brushes offer alternatives to the grey hairs or brown hairs, see individual series for hair mixture specifics. 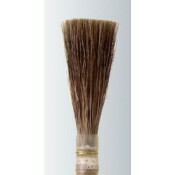 We feature brushes from the Mack Brush Company, Scharff Brush and Brushes by Percell Along with the Quill Lettering Brushes, we've include a few of the other commonly needed materials and brushes listed BELOW!